For optimal performance of your Honda car, SUV, truck, or minivan, we always recommend using genuine Honda parts and Honda accessories. For the last decade Honda customers in the National Capital region - coming from all over the Ottawa Valley and Gatineau - have relied on Ottawa Honda as their source for reliable, dependable, and original Honda components. Choose Optimal Performance, Reliability and Quality! When you opt for genuine Honda parts and Honda accessories you are making the smartest decision for your vehicle. The strict manufacturing standards and guidelines that represent the Honda brand means that you are equipping your car with parts that meet Honda’s engineering and materials specifications. Don’t treat your Honda with anything less. For all your Honda parts and accessories needs, we have what you’re looking for. Get in touch today! 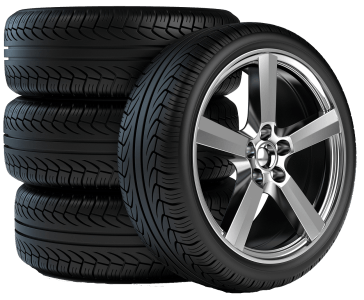 Having a good set of tires on your Honda vehicle is a must. And living in a climate where the summer temperature can exceed 40 degrees Celsius, while in the winter it often dips below minus forty degrees Celsius, means that having good, reliable tires is essential to the safety and security of you and your family. At Ottawa Honda each time you purchase or change your tires with us, our promise is to provide you with fast, professional tire installation, and balancing. We carry a wide-range of all the best-selling tire brands, including: Goodyear, Michelin, Bridgestone, Firestone, BFGoodrich, Pirelli, and more.